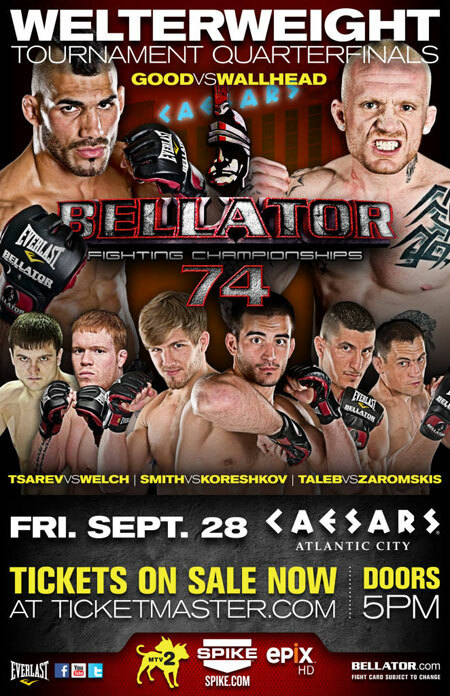 After enjoying a five-week hiatus, Bellator Fighting Championships comes storming back Friday with “Bellator 74.″ The event takes place inside Caesars Atlantic City in New Jersey. Tonight’s show features all four quarterfinal welterweight matchups. Lyman Good and Jim Wallhead headline the event.